Broly joins the ToP... Is he a good asset for the Team U7? Power wise, yeah, but initially, he'd be pretty weak until he fight against someone that's on Super Saiyan level and from there his growth rate would be staggering. Though, if he lashes out like Kale, he'd simply get eliminated possibly. But his durability is astounding though. He tanked or was able to resist some of Gogeta's attacks even though he was still inferior overall. 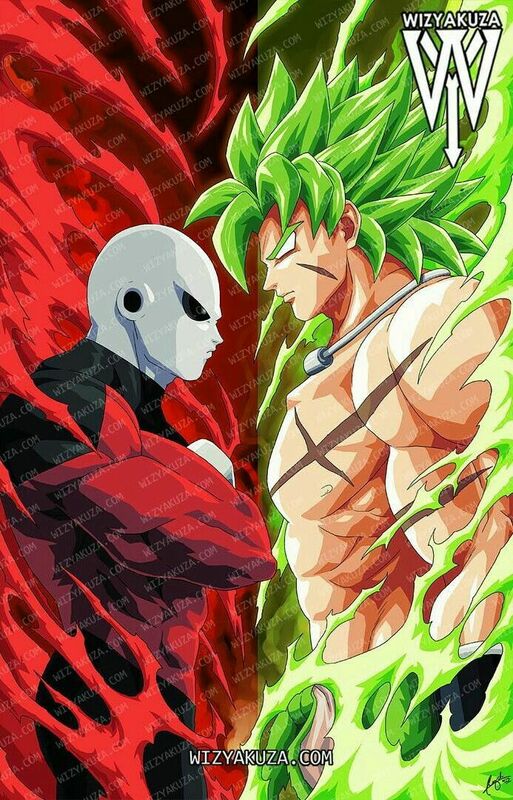 So him being there would somewhat payoff but Jiren is the only threat in my opinion for Broly as a Super Saiyan. Strategy wise, no. Broly is only rational in his base and Wrathful state, less so in the latter. Beyond that, he's dangerous point blank. I have an ever-growing jumble of ideas for how I'd rewrite Super, which I may turn into a fanfic someday... and this is actually one of the bigger changes I'd make for this larger chunk of the story. The encounter with Broli would take place before the Tournament of Power, during a small sub-arc where Goku, Kibitoshin, and Whis are working together to scour the hundreds of inhabited worlds of Universe 7 for strong potential teammates. After all the Super Saiyan versus blue-haired Fusion hubbub is over, they end up recruiting Freeza instead. Because as strong as Broli is, when he cuts loose he becomes too wild and randomly destructive to be a reliable teammate, and is likely to kill someone.